Permabond have launched a range of new flexible cyanoacrylate adhesives offering up to 400% elongation. 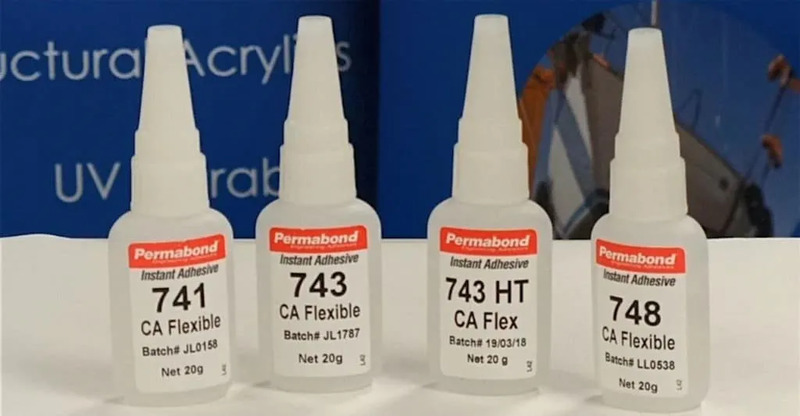 Permabond 741, 743 and 748 flex CA adhesives form clear colourless bonds that maintain the softness and flexibility of the bonded substrates when compared to standard and toughened cyanoacrylates. These adhesives range in shore hardness from A60 to D50. With good shock resistance and excellent impact and vibration resistance, these adhesives are suitable for bonding soft and porous substrate materials and dissimilar materials such as plastic, metal, glass and composites that are subject to thermal shock or thermal cycling. 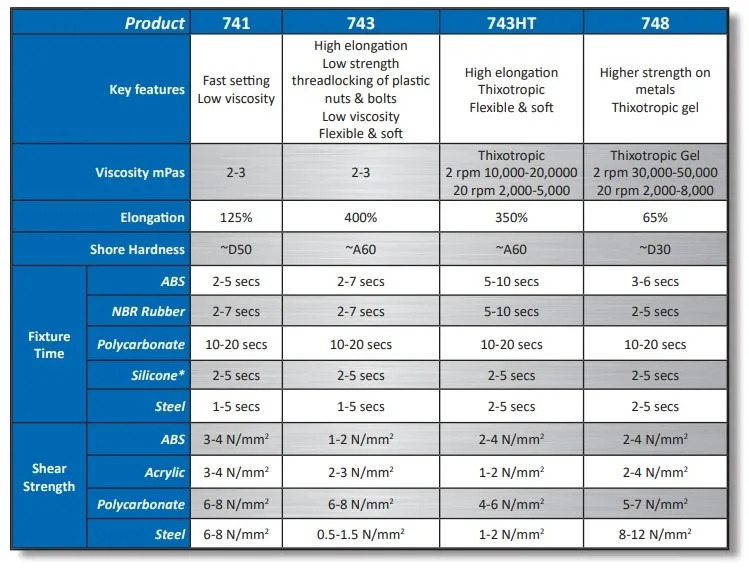 Typical applications include bonding silicone, bonding swabs, threadlocking plastic fasteners and bonding flexible rubber trim or splicing gaskets. For best results when bonding silicone, it is recommended to apply Permabond POP prior to the flexible Cyanoacrylate adhesive. Available in a variety of viscosities to suit your application from water thin to thixotropic gel. 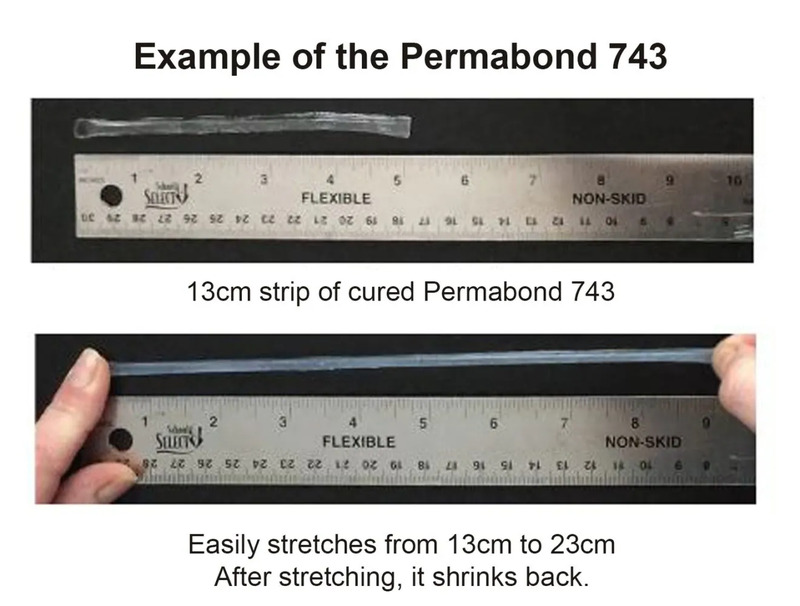 Permabond 741, 743 and 748 offer good flexibility, high elongation and softness while maintaining the setting speed of a cyanoacrylate adhesive.